A simple trick for getting the ‘right’ stuff done! 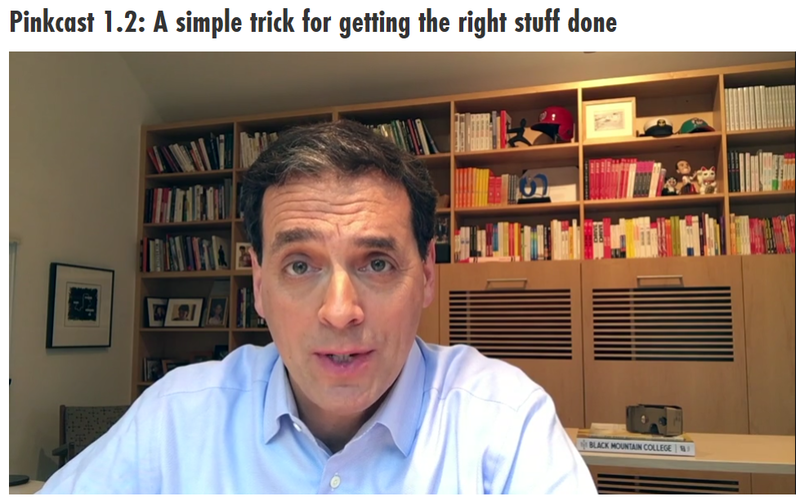 Dan Pink’s second ‘Pinkcast’ shared a super simple but highly effective productivity technique called the MIT : the Most Important Task! Click the image above and be taken directly to his video that explains how it works! He suggests you ask yourself : What is the most important thing that you have to do that day? That is your M.I.T.! Write it down – and do that FIRST! Don’t check your emails, don’t return phone calls, don’t get distracted bu something less important – focus on this task and get it done! You’ll feel so much better! Click on his picture to watch the video. Click here to source the video directly from his site, and catch up on other things he is doing.